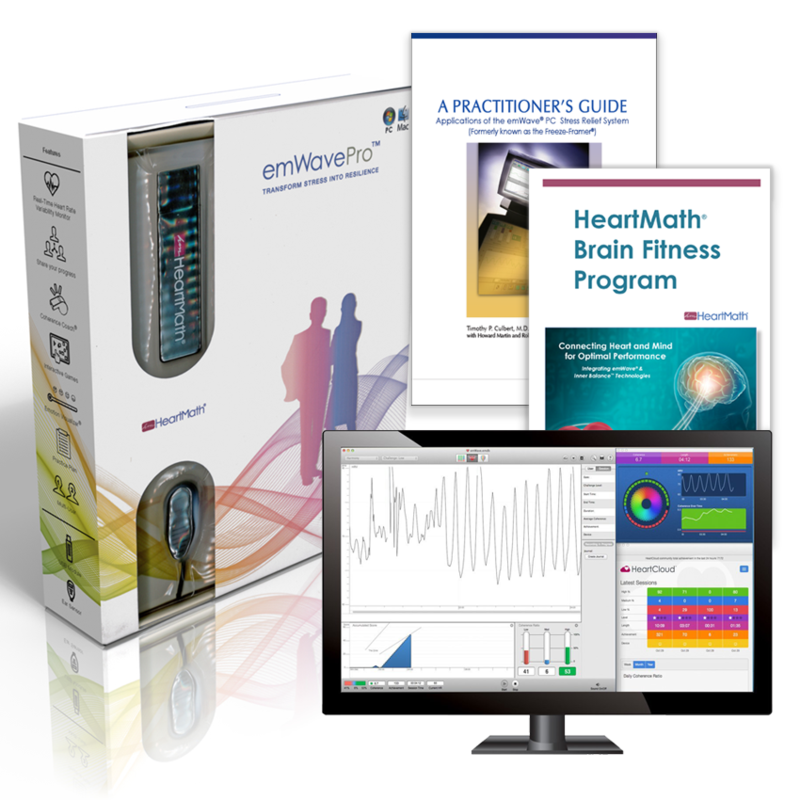 This emWave Pro Health Professional Package includes and Practioner Guide and email attached Brain Fitness PDF. How to evaluate your clients. How to explain the emWave Pro to your clients. Hands on use and step by step outline for using with clients. Practical tips on designing effective strategies. Interviews with practitioners in clinics, hospitals and private practice on applications and results. Descriptions of Heart Rate Variability (HRV) and Psychophysiological Coherence.